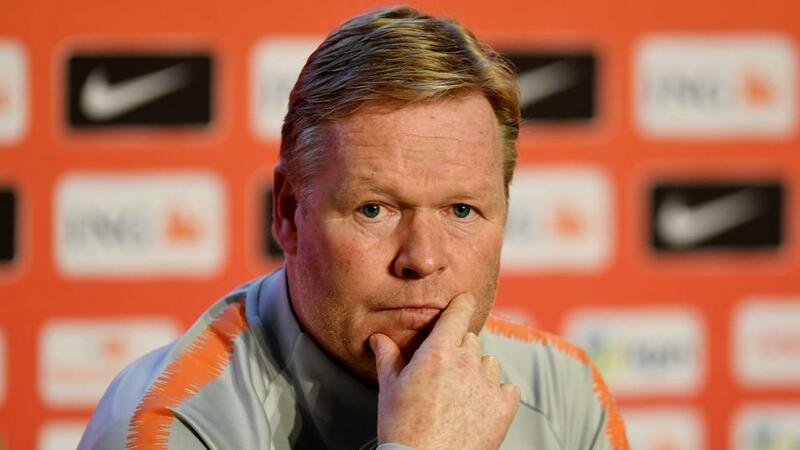 Can Ronald Koeman mastermind a result for Holland when they travel to Germany? Dan Fitch can't fathom why Germany are favourites to beat Holland, as he previews Monday's Nations League matches. "Germany are already relegated to League B, while Holland are in with a chance of making the semi-finals having beaten both the Germans and on Friday night, the World Cup holders France." There is no relegation from League D, but this match will determine who will finish bottom of Group 1 and have a bearing on the seeding for the European Championship qualifiers. Both Latvia and Andorra have identical Nations League records (P5 W0 D3 L2). They drew 0-0 in the reverse fixture and have both gone seven games without a win. Not surprisingly the price of a draw is pretty slim, but is the still the best bet at [3.1]. Georgia have already clinched promotion to League C, while Kazakhstan look likely to be guaranteed second place. With neither side needing any points from this match, it's best to leave the match result markets alone. Instead look towards both teams to score at [2.2], as Georgia have scored in all of their Nations League matches and Kazakhstan have found the net in each of their last four. Bulgaria are locked on ten points with Norway at the top of League C, Group 3, with the Scandinavians' superior goal difference currently giving them an advantage. With Slovenia already relegated and without a win in the competition, the hosts look good value to claim victory. Back Bulgaria to win at [1.81]. Norway need to match Bulgaria's result to be assured of promotion to League B, but they look a short price against a Cyprus side that are unbeaten at home in the Nations League (W1 D1). Instead, look towards the goals markets. All five of Norway's games have produced under 2.5 goals, making the [1.82] on offer a decent bet. These sides are both in danger of relegation to League C, but it's the Czechs that currently hold the advantage, having won the reverse fixture 2-1. Yet Slovakia have given themselves a chance of survival with a shock 4-1 win against Ukraine. That result suggests that if they are relegated, they will at least go down fighting. Back both teams to score at [2.0]. Germany are already relegated to League B, while Holland are in with a chance of making the semi-finals having beaten both the Germans and on Friday night, the World Cup holders France. It's a surprise then to see Germany as the favourites. Netherlands just need a point to win the group and the draw looks the smart bet at [3.8].